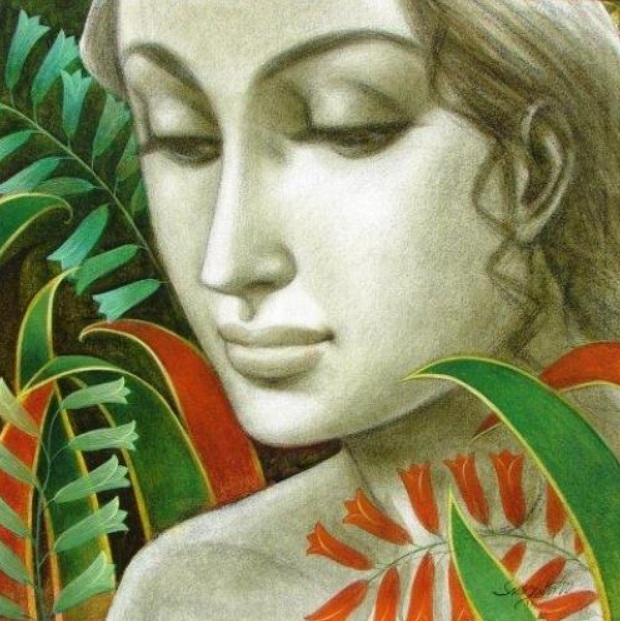 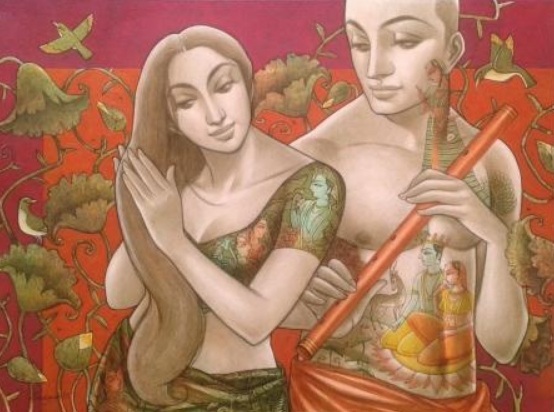 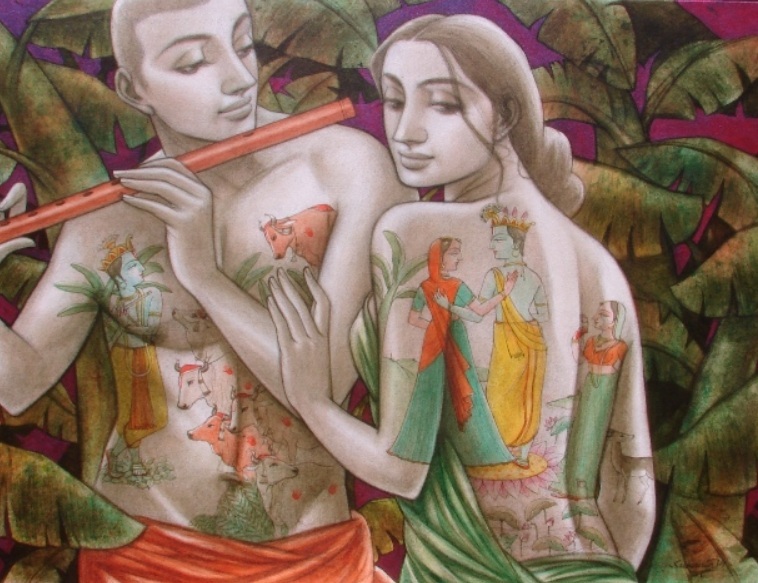 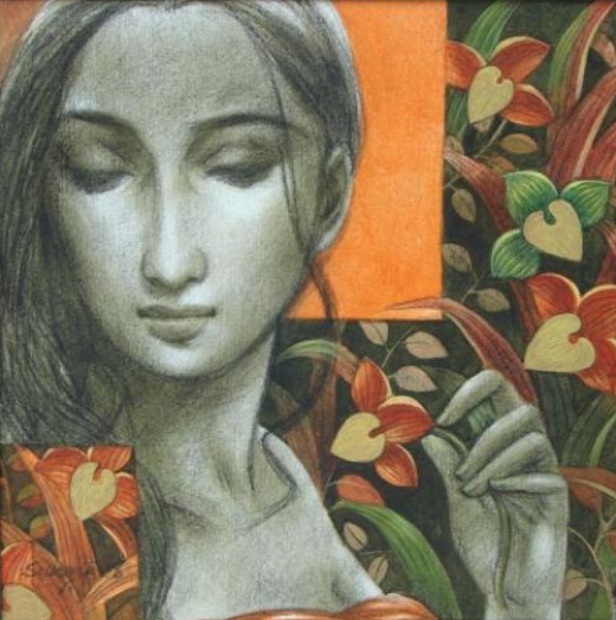 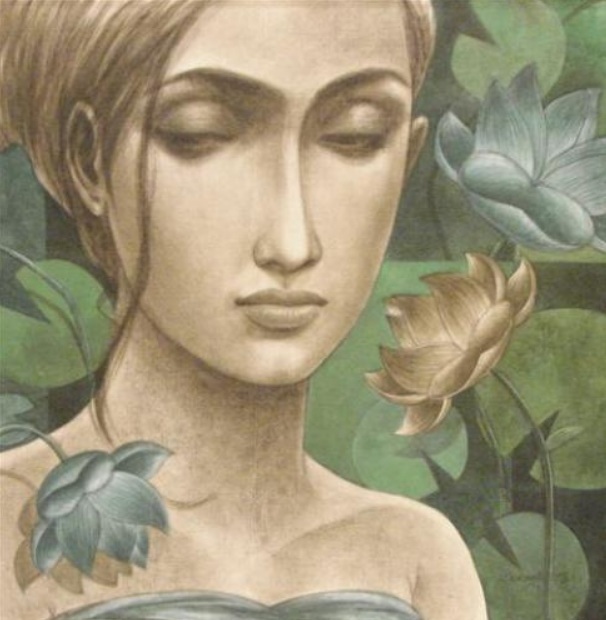 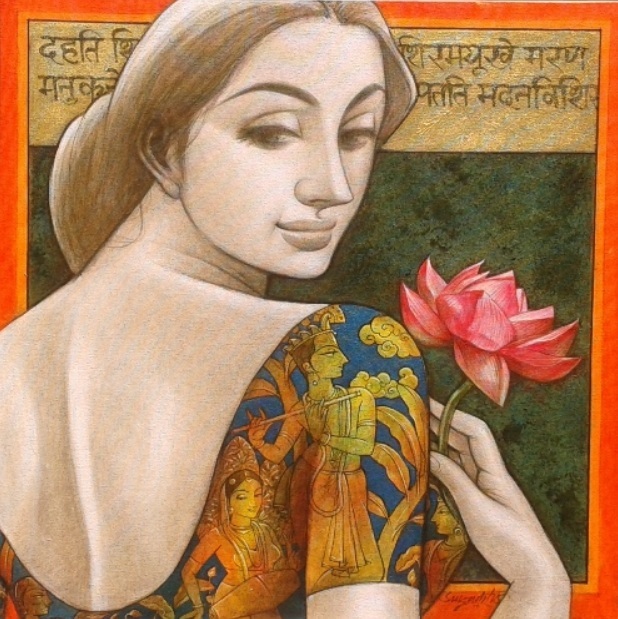 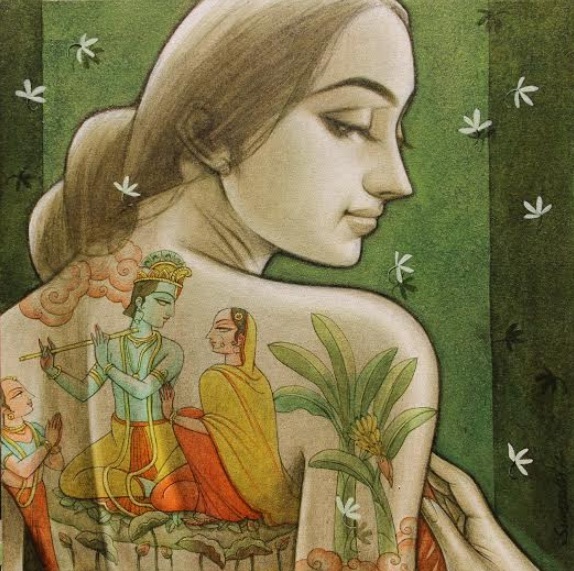 Sukanta Das is a Bengal artist who lives and works in Kolkata. 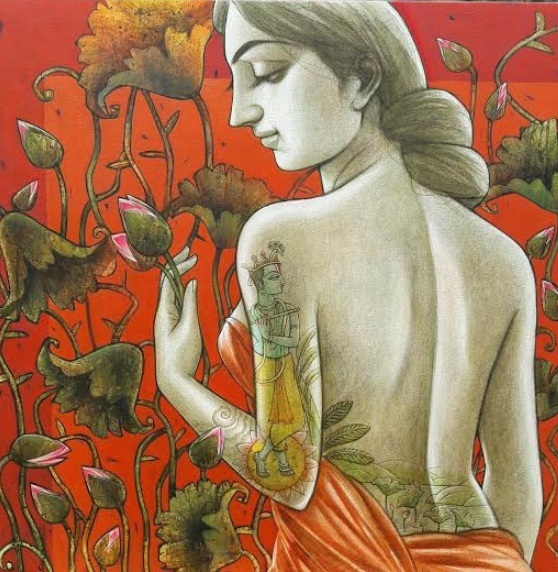 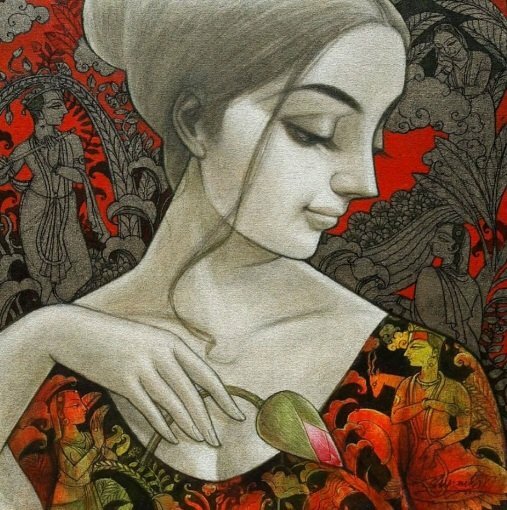 Sukanta often portrays his demure women in idyllic garden. 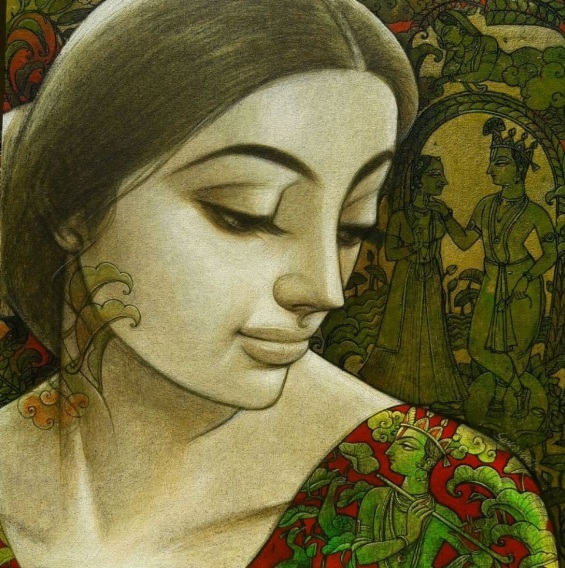 His women are highly stylized, with large droopy eyes, long noses and sharp features.